is the ultimate expression of what the noble Chardonnay grape is capable of on the region’s famous kimmeridgian limestone slopes. The wine is perfumed, lively, clean and steely-tasting with a crisp finish. Chablis is an isolated island of vineyards in the northern section of wine-producing Burgundy halfway between Dijon and Paris. Fermented in traditional in stainless steel vats, temperature controlled with complete malolactic fermentation and aged for 8 to 10 months ageing in stainless steel vats. 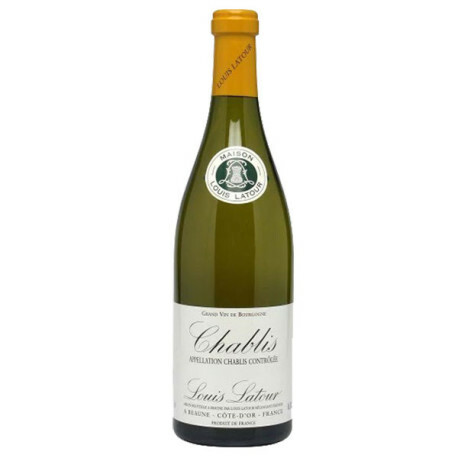 Louis Latour Chablis 2015 shows a pale yellow colour with green lights. On the nose, aromas of vanilla mix with yellows fruits and blackcurrant notes. The mouth is round and ample with yellow fruits and almond paste flavours. Refreshing minty finish.